Healthy food nourishes the whole body, and that includes the brain. 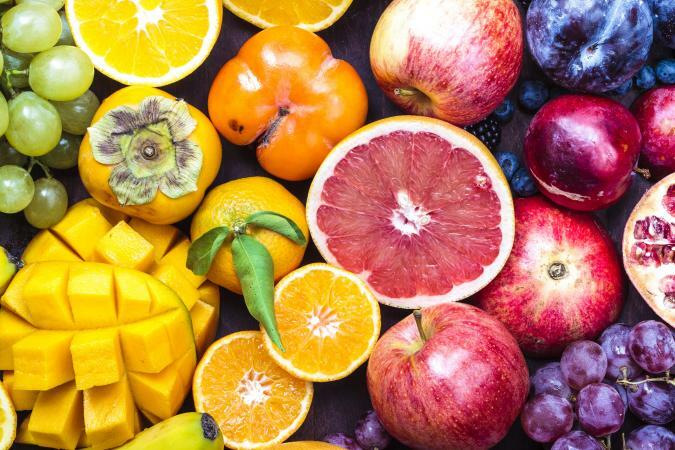 Many foods rich in vitamins, minerals, and antioxidants have been reported to significantly contribute to brain health and the prevention of cognitive decline. Adding some of these delicious brain-boosting foods to your diet is an excellent way to stay healthy. Olive oil is a favorite fat of many and can make food taste great. It can also help boost brain health. Olive oil is rich in antioxidants called polyphenols that have been found to "reverse age- and disease- related learning and memory deficits" in mice and may even protect against the damage that occurs in the brain related to Alzheimer's disease. Olive oil can vary in polyphenol count, and some don't even report polyphenol content. Purchase your olive oil from a reputable source that states the polyphenol count so you know you are getting the benefits, such as the Drop of Life olive oil. Tufts University claims blueberries are great brain food. These flavorful little berries contain polyphenols known as anthocyanins that reduce oxidative stress and inflammation in the brain will increasing signalling. Studies have found adding blueberries to your diet may slow age-related brain decline. Two or more half-cup servings of blueberries per week have shown beneficial effects. The essential fatty acids found in avocados are crucial to brain health and function. Avocados are rich in folate, choline, monounsaturated fatty acids, and polyunsaturated fatty acids, among other nutrients. A 2014 study found polyunsaturated fatty acids can aid brain function in the aging population and increase executive brain functions. One fifth of an avocado a day can meet your serving needs. Sources of fatty fish are excellent brain-boosting food. Fatty fish such as salmon, herring, mackerel, and tuna are high in the nutrient docosahexaenoic acid (DHA). A 2015 study reported that DHA has been found to improve memory in adults. Two three-ounce servings of salmon a week can help boost your brain health. Dark chocolate helps you feed your sweet tooth, but this treat also feeds your brain. Dark chocolate contains the flavanol epicatechin and antioxidants that a 2013 study reported to improve cognition and mood, help in the areas of learning and memory function, and may lower the risk of Alzheimer's. More research is needed to determine exact amounts needed to promote brain health, but a one-inch square of dark chocolate a day can't hurt and will definitely help your sweet tooth. The Physican's Committee for Responsible Medicine recommends regular consumption of nuts and seeds to help prevent Alzheimer's and protect your brain. Snacking on nuts and seeds, such as hazelnuts, pecans, pistachios, almonds, sesame seeds, and sunflower seeds increases your vitamin E intake, which helps promote a healthy brain. The Physician's Committee recommends a small handful of the above to get a brain boost of vitamin E.
Brilliantly colored fruits and vegetables tend to have the highest levels of antioxidants. These include cranberries, beets, red bell pepper, blackberries, blueberries, broccoli, brussels sprouts, cherries, eggplant, kale, onion, oranges, plums, prunes, raspberries, red grapes, spinach, and strawberries. Today's Dietitian reports that antioxidants help combat oxidative stress in the brain and can reduce cognitive decline. Two cups of fruits and two and a half cups of vegetables a day can help provide the antioxidants you need. A 2016 Today's Dietitian article lists leafy greens as brain food because they are loaded with folate. Folate plays a big part in minimizing age-related depression and cognitive decline. Additionally, folate consumption in the elderly may reduce the risk of Alzheimer's. The exact amount of folate needed to prevent cognitive decline remains debated; however, adding at least a cup of spinach to your daily diet can help. Complex carbohydrates, including whole grains, starchy vegetables (like yams), and legumes, contain loads of B vitamins, antioxidants, trace minerals, fiber, and even some protein. These complex carbs digest slower than simple sugars and keep blood sugar levels steady, which in turn, keeps brain energy high for prolonged periods. MyPlate recommends six ounces of whole grains a day for a healthy diet. Walnuts are a nut high in protein, but they are also an excellent source of anti-inflammatory phytochemicals and polyunsaturated fats. A 2014 study found that walnuts help preserve cognitive function and improve neurotransmitter signaling in the brain. Walnuts are simple to add to the diet, as all you need are one to two per day.